Fire-Extinguisher Service - Annual Inspections, New lnstallations. Recharge, 6-Yr-Tear Down. Hydrostatic testing, Monthly Cal OSHA Inspections, Repairs and Fire Extinguisher Training (Live Fire or Classroom). Free Facility/Office inspections to insure you have the proper fire extinguisher coverage. 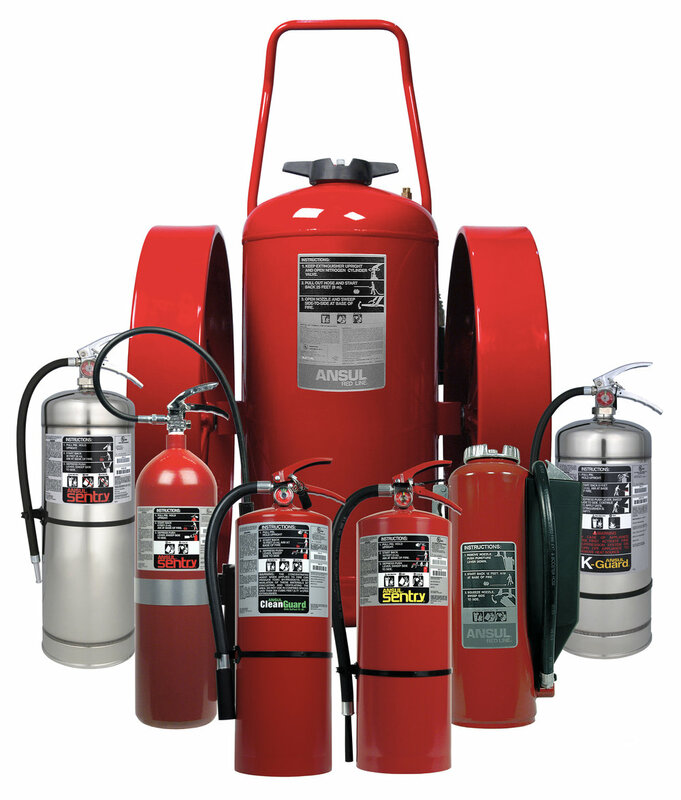 Fire Extinguisher Sales – Ansul and Amerex Fire Extinguishers. Cabinets – JL Industries, Sampson Products, Ambassador Series, Mark l, Potter Roemer, Larsen’s. Hydrostatic Testing - CO2, Oxygen, SCBA/Scuba, Dry Chemical. Systems Tanks and cartridges. As an Ansul Diamond Alliance Distributor, We stock large volume of Ansul products to meet your immediate needs. We offer a wide variety of products and services for your convenience: *Fire Extinguisher Sales and Service *Restaurant & Industrial Systems Installation/Service *Backflow Testing *Fire Hose and Brass Goods and MUCH MORE.